The Campbeltown distillery Glen Scotia have seen a lot of positive change and investment over the past few years. I have now tried one of their new core range products, the Glen Scotia Victoriana. The new core range was introduced in 2015, so I am little late to the party, but there you go. Not a whole lot of info is available about this product online, but it does say that it has been "finished in heavily charred oak casks". 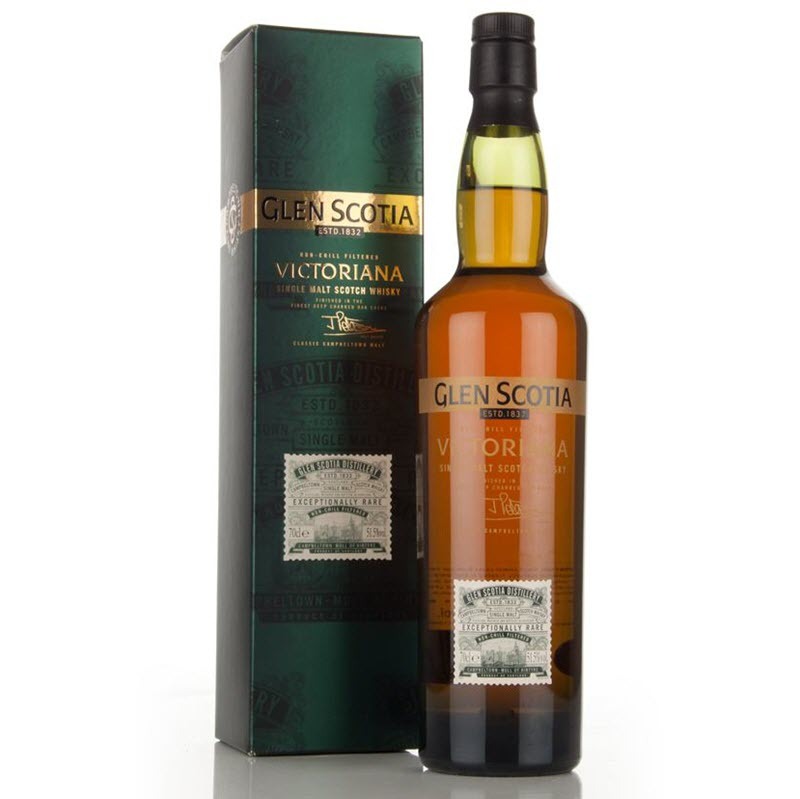 You can get a bottle of Glen Scotia Victoriana in Sweden at SEK 882 (8535601), online at around GBP 76. It is not available in Norway. Nose: Soft and well rounded. A touch of fresh oak sweetness and banana. Nowhere near the heavy and vegetal notes I was expecting. Definitely a lot of oaky character on the nose. A bit hard to find anything else, as it does dominate. There are hints of red berries and summer fruits, but that's about it. So, I leave it for a few minutes and come back. Ah, much more open now. Coconut milk, fresh vanilla sticks, and powdered sugar. Quite enjoyable now, actually. Taste: Rough and oily mouthfeel - yeah, I know, it struck me as a bit unusual as well. Again very much oaky. A bitter touch is ever-present. There's some fruitiness and notes of dark chocolate. Finish: Medium long finish. Oaky still - but it's a bold and loud oakiness, rather than the super-dry feel of a 'classically over-oaked' whisky. Astringent and perfume like finish. Comments: The nose really caught my attention after a few minutes - really, really nice! But the strong oakiness left the palate a bit 'loud and unfocused'.